I’ve thought long and hard about this, and I can’t really come up with the book that made me a reader. And that’s because I was never a not-reader. I have no memory of a time when I wasn’t regularly reading (or being read to). I realize how arrogant it sounds—as if I’m suggesting I came straight out of the womb with a book in my hand. Maybe I did. That would explain a lot. My dad read to me nightly throughout my childhood. He’d stop at almost every garage sale he passed while working as an electrician. This meant our house had an endless supply of beat-up paperbacks. I ordered more books from the Scholastic forms at school every month and I was in mail order book clubs. I walked to our tiny library a few times a week. My mom wrote a note permitting me to check out young adult books even though I was still in elementary school. What strikes me now is how indiscriminate it all was. I’d never heard of half the books I checked out and I wasn’t fussy about genre. With a library as small as mine, you really had to take what you could get. The young adult section consisted of about five shelves. YA and the children’s sections were radically different back then. There were a few heavy hitters, like Beverly Cleary and Judy Blume. However, there was nothing resembling the vast array of hot, buzz-worthy authors that now inspire midnight release parties and leave readers breathlessly waiting for casting announcements. From elementary school to high school, I worked my way through everything I could get my hands on. I read classics: Little House and Anne of Green Gables. The books that were en vogue for 1980s teens, with plots about terminal illnesses and teenage pregnancy, were among the ones I read. I also read historical novels that taught me more about the past than school did, about kids growing up in Nazi Germany and the First Americans crossing the Bering Sea. I read all fifteen volumes of a children’s illustrated Bible series that my mom found at the grocery store. Later, in fourth grade, she let me read The Clan of the Cave Bear and Danielle Steel. Frequently, I “borrowed” my brothers’ science fiction novels, as well as their terrifying books about Bigfoot, UFOs, and the Loch Ness monster. I read The Mists of Avalon. Twice. And I read the Sweet Valley High books. Oh God, did I read those Sweet Valley High books. Ironically, I did not read Anne Rice’s vampire books when they were hot in the 1990s. By the time I reached adulthood, books had let me become a thousand different people from all sorts of places, times, and even non-existent worlds. Until college, I didn’t realize what a small, shielded town I’d grown up in because books had taken me beyond it. With books, I didn’t need to be me. Throughout it all, I was always trying to write my own books. They started as heavily illustrated ten-page epics in elementary school and moved on to half-finished maudlin works in high school. In college and after, I tried to get serious about it, but I could never seem to pull it all together. I began to think I’d have to just be content as a lover of stories, instead of a creator. 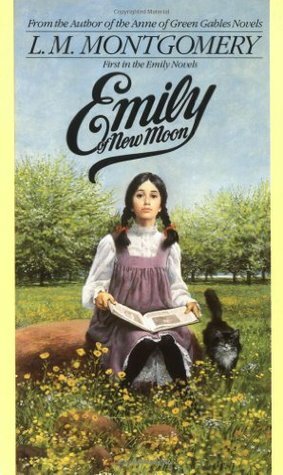 Then, feeling nostalgic one day, I decided to reread the Emily of New Moon series, which is L.M. Montgomery’s lesser known work after the Anne of Green Gables books. Emily is an aspiring writer, and that path is not easily traveled. 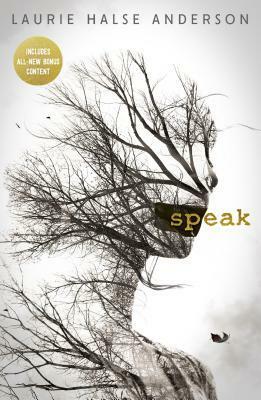 In one scene, she brings her teacher poems and stories she’s written over the years. He reads them and declares the lot of it, with a handful of exceptions, “balderdash.” Emily is devastated, which surprises him. He tells her: “If at 13 you can write 10 good lines, at 20 you’ll write 10 times 10 if the gods are kind.” I’d first read that, in fact, when I was 13. Reading it again in my 20s, I was struck in a whole new way. I, too, had written pages of balderdash and it was often devastating to me too. Like Emily, I had seen gradual improvement. I had more good lines at 20 than I’d had at 13, and like her I burned to write and had to believe those good lines would grow as time went on. Now, this wasn’t the point where I then miraculously wrote a book overnight. However, something incredible and astonishing struck me with that reread. All this time, I’d read because I could be someone else in a book. In reading Emily’s struggles, though, I suddenly realized that it was possible to see myself in a book. No doubt it had happened many times before without my knowing. Seeing it at that moment in such clarity, however, I understood that there was more to a book than finding escapism. Books could also be about finding yourself and realizing you aren’t alone. That truth was something I’d take with me when, years later, I did finally write complete books—books that readers told me they could find pieces of themselves in. So, was there a book that made me start reading? No. But there was a point in which I started to understand reading, and it turns out that’s just as important. Richelle Mead is the #1 international bestselling author of the Vampire Academy series, which has sold millions of copies and been made into a feature film. Her other young adult works include The Glittering Court series, Soundless, and Vampire Academy’s spinoff series, Bloodlines. Richelle has a master's degree in religion and mythology, and loves all things fantasy and sci-fi.